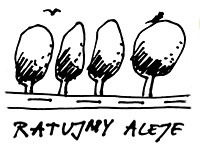 On a meeting in Kadzidłowo on March 3rd, 2004, the 19 founding members of the Association for the Protection of Mazuria’s Cultural Landscape “Sadyba” constituted its name, statute and chairmanship. On March 30th, 2004, the administration in Olsztyn registered this association under the number KRS-20 42 86. At this point, the search for active members required for the common work could be completed. The association was founded in order to bring an end to negative developments in its environment. • To act collectively and effectively for the protection of cultural landscape. • The association has clearly defined aims: It wants to protect all that is Mazurian, all that is threatened by destruction, through ignorance or deliberate actions by human beings. • Our concern is the cultural landscape in Mazuria (towns and villages), which we want to protect passively (i.e. through documentation) as well as actively (i.e. through clearing up of old cemeteries or preventing monuments from destruction through decay. • However, we do not forget about the natural landscape, which of course is always subject to further alteration and change. Sadyba’s members prepared the “Planning-guideline for Southern Mazuria’s opening and development”, which was presented to the Community as a joint document in cooperation with the Mazurian Cultural Landscape Park Authority, and which applies to this authority’s district. In September of 2004, we brought a larger activity into being: “We rescue the alleys”, which’s aim it is to stop the pointless logging next to roads. While respecting public opinion and through the exertion of influence on policymakers, it is our goal to call attention to this problem and to bring about a change of the environmental protection act. 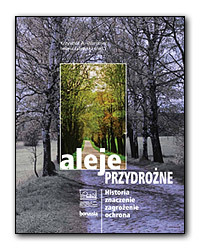 For this purpose, we published an information brochure with the title “We rescue the alleys” and called further attention to the problem through a large media campaign in the nation widely-published newspaper “Gazeta Wyborcza”. Thanks to our activities, we were both able to call public attention to the topics of cultural landscape and environment as well as to save a number of trees next to our roads. However, obviously this is not yet enough to solve the problem, which is why we still write petitions to the authorities in question and make complaints by the police department. Another very important task for our organization is the protection of the cultural heritage. Therefore, we draw the Voivodeship’s conservator’s attention to the fact that many old buildings with monument characteristics are threatened by decay. One spectacular success concerning this topic was the preservation of a forest villa from the beginning of the 20th century: Thanks to our application, this building was protected. Thanks to our effort, more than 25 buildings could be prevented from decaying! Another initiative is the erection of an “Old Believers-Park”: We are appealing to the Community of Ruciane Nida as well as to the Department for the Protection of Historic Buildings and Monuments in that matter; we wrote an informational brochure with the title “We save the Old Believer’s villages” and documented these villages. An additional project contains the documentation and clean-up of old cemeteries; i.e. clean-up of crosses, tidying-up on the cemeteries themselves etc. For as long as two years we take part in the program “International Voluntary Service for the Cultural Landscape’s Protection in Warmia and Mazuria”.Two volunteers – one German, one Pole – assist our association by realizing projects according to our mission statement. 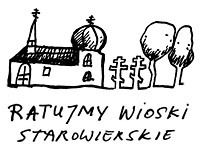 They help inventorying and cleaning up old cemeteries, they work with children at the elementary school in Ukta and organize free-time activities for children in a youth center in Śwignajno. They also continue what has been started by two former volunteers – one Russian and one Pole, as well – last year. The informational brochures “Cultural landscape through children’s eyes” and “We save the Old Believer’s villages” were also acquired through the work of these volunteers. 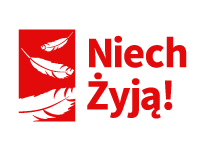 In addition to that, we are in contact with the following organizations: Pracownia na Rzecz Wszystkich Istot, Zielone Mazowsze, Centrum Kultury Japońskiej w Przemyślu and other organizations as well as individuals who are committed to environmental protection and the protection of alleys. We also organize unofficial movie events – in February and March of 2007, we arranged five “movie-marathons”. However, the project had to be terminated due to very low demand. The association is currently financed through its members; the projects are ran with the aid of volunteers. The informational brochures as well as the campaigns in the newspapers were financed by sponsors. The association “Sadyba”, after three years of its foundation, remains active and organizes further projects. You can receive information about us and our work via mail, e-mail or telephone.